Ferrari F1 FAQ. 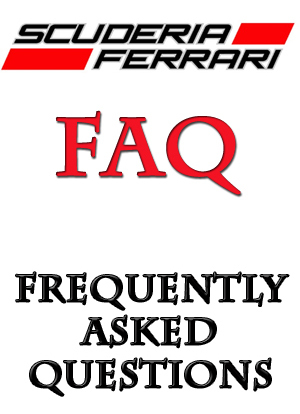 Scuderia Ferrari frequently asked questions. When was Enzo Ferrari born and when did he die? Enzo Ferrari was born on February 18, 1898, outside Modena. His grandfather was a food wholesaler, his dad Alfredo a metal-basher in the local railway workshops. The great man passed away on August the 14th 1988 in the town of his birth. When was the first Formula 1 race in which Scuderia Ferrari was involved? The 1950 Monaco Grand Prix, held on 21 May 1950 at Monaco (the second round of 1950 World Drivers’ Championship) was the first race for Scuderia Ferrari, with Alberto Ascari, Luigi Villoresi and Raymond Sommer at the start. When did Scuderia Ferrari win the very first Grand Prix? Ferrari managed its first ever Formula One win at the 1951 British Grand Prix, held on the Silverstone circuit. The Argentine racing driver, Jose Froilan Gonzalez, remains particularly notable for scoring Ferrari’s first win in a Formula One World Championship race. 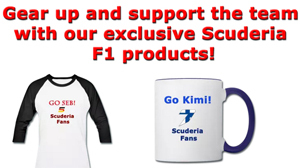 When did Scuderia Ferrari the first Constructor’s Title? The 1961 Formula One season was the 12th season of FIA Formula One motor racing and the first in which Scuderia Ferrari won the Championship (the International Cup for F1 Manufacturers as it was named back then). When did Scuderia Ferrari win the very first Drivers Title and who was the driver? the Italian racing driver Alberto Ascari was the first to secure a drivers title for the Maranello team in the 1952 season, as he won six out of the eight races and scored a total of 36 points, to finish ahead of Giuseppe Farina, who also raced for Ferrari. What is the origin of Prancing Horse logo? The black prancing horse in the famous Ferrari logo was originally the symbol of Count Francesco Baracca, a flying ace in the Italian air force during World War I. In 1923, Enzo Ferrari met Baracca’s mother, Countess Paolina, who asked that he use the horse on his cars for good luck in races. And indeed in turned out to work for Ferrari, although Baracca died in action, as his plane was shot down and he was killed at the age of 30. One slight modification made by Enzo Ferrari was the fact that he changed the background color from white to canary yellow to signify the colour of Modena, his hometown. 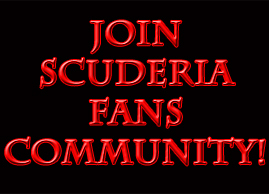 What does the term “Scuderia” actually mean? The word Scuderia dates back to the Middle Ages in the Italian language, when it used to refer to a place where racing horses were kept. Now these racing horses have become racing cars and the term Scuderia Ferrari is known across the entire world. Why is red the dominant color of the Ferrari car? Ferrari’s red is a result of the way the sport began. Back then, each country was assigned a different colour and the red for Ferrari has remained ever since and is now associated with one of the most glorious and famous brands in Formula One and the world. Red was assigned to Italian cars, Green to English, Blue to France and so on. In fact, the yellow color as seen on the Prancing Horse emblem could be considered as Scuderia Ferrari’s official colour because it represents the town of Modena. What does the term ‘Tifosi’ mean? Tifosi is an Italian word used to describe a group of fans that are extremely passionate about their sports team. A single fan would be described as Tifoso. Also used is a female version of the word with Tifosa being the singular version and Tifose being the plural. What is the record number of consecutive podium positions for Scuderia Ferrari? 53 races saw a Ferrari at least take a place on the podium. Between the Malaysian Grand Prix in 1999 and up until the Japanese Grand Prix from the 2002 season. A record that the dominant Mercedes could not even get close to in recent years (28 podium finishes in a row for them). How many pole positions has Ferrari scored so far? At the beginning of the 2017 season, Scuderia Ferrari has 208 pole positions starts, which is more than any other Formula One team (second is McLaren with 155). How many fastest laps has Ferrari managed so far? At the start of the 2017 season, Ferrari has 237 fastest laps, also more than any other Formula One team, McLaren being second in this ranking, with 153 fastest laps. How many races did Ferrari win in Formula 1? At the start of the Formula 1 2017 season, Ferrari has won 224 races and holds the record for most Formula One Grand Prix wins, ahead of McLaren (182) and Williams (114). What is the record number of wins in a season for Scuderia Ferrari? Ferrari has won 15 races in two different seasons (2002 and 2004). What is the race that Ferrari has won most times? Scuderia Ferrari has won the German Grand Prix 21 times, the Italian Grand Prix 18 times and the French Grand Prix 17 times. How many 1-2 finishes does Ferrari have in Formula One? At the start of the 2017 F1 season, Scuderia Ferrari has 81 1-2 finishes and, needless to say, holds this record as well, ahead of McLaren (47). How many consecutive 1-2 finishes does Ferrari have in Formula One? Ferrari has five consecutive 1-2 finishes during the 1952 season (with wins and second place in the following GP’s: Belgian, French, British, German, Dutch) and other five consecutive 1-2 finishes during the 2002 season (Hungarian, Belgian, Italian, United States, Japanese GP). Drivers titles and Constructor’s titles, how many has Ferrari won? Currently Scuderia Ferrari has taken 16 constructor championships and 15 driver titles (during 1950–2016). Who is the most successful Formula 1 driver for Ferrari? Michael Schumacher is the most successful Formula One driver, with 72 grand prix victories for Ferrari and five consecutive drivers titles. What is the current lap record for the Fiorano test track? The current lap record for the Fiorano test track (the private racetrack owned by Ferrari for development and testing purposes) is 55.999 and was set by Michael Schumacher in the F2004 car, on February 1st 2004. Is there a Ferrari theme park? Ferrari inaugurated its first theme park, Ferrari World Abu Dhabi, back in 2010. It is the world’s largest indoor theme park and boasts four “Thrill” rides, including the Formula One-inspired Formula Rossa rollercoaster, which continues to remain the fastest rollercoaster in the world, at nearly 150 mph. Many other special family attractions and rides just for children are also available. Licensed drivers over the age of 21 can even sign up for the exciting “Driving Experience,” a rare opportunity to drive the Ferrari California on the streets around Yas Island, where Ferrari World is located. How many British drivers have been part of the Scuderia Ferrari team? Until now there have been 13 British Ferrari team drivers: Cliff Allison, Derek Bell, Tony Brooks, Peter Collins, Mike Hawthorn, Eddie Irvine, Nigel Mansell, Mike Parkes, Reg Parnell, Roy Salvadori, John Surtees, Peter Whitehead and Jonathan Williams. How do I contact Ferrari? I am planning a visit to the Ferrari Museum Maranello soon. Do you have any information on the location? From 1 November to 31 March: daily (holidays included) from 9:30am to 6pm. From 1 April to 31 October: daily (holidays included) from 9:30am to 7pm.